Welcome to the website for the Roman Catholic community which is served by the churches of The Holy Family at Platt Bridge and Saint Benedict at Hindley, part of the Wigan deanery within the wider community of the Roman Catholic Archdiocese of Liverpool. Want to get married in 2019? Any couples wishing to get married at Holy Family Church during 2019 should contact Father Tony as soon as possible to book a date and allow time for the necessary preparation and required paperwork to be completed. Read more about Want to get married in 2019? 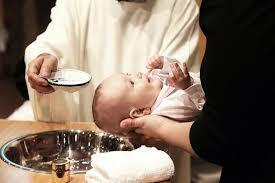 If you want to arrange a baptism don't phone or email - just come along to the church for Mass any Saturday evening (if Sacred Heart) or Sunday morning (both churches) and ask the priest or deacon at the end of Mass for a Baptism Application Form. At least one parent of the child must be a Catholic. The Brick is a crisis intervention service based in central Wigan and whose aim is to help rebuild the lives of those in need. They help in many ways with Life Skills classes and assisting people to get into work. 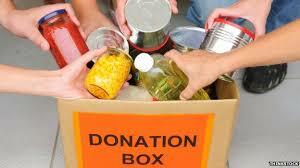 But one vital and much needed part of their mission is to help families in crisis by providing a food bank. 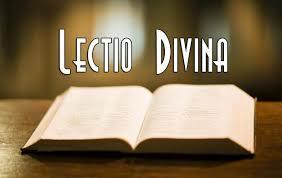 Lectio Divina (which is Latin for "Divine Reading") is a new way of praying. Actually, it's not new at all, but as old as the hills, going right back to the early Church and even further back into Old Testament times; but it has recently become very fashionable, if one can use that word with regard to prayer. We extend a special welcome to those who are single, married, divorced, widowed, gay, confused, filthy rich, comfortable, or dirt poor. We extend a special welcome to those who are crying new-borns, skinny as a rake or could afford to lose a few pounds. You're welcome if you are Old Wigan, New Wigan, Not Wigan, or just passing by. We welcome you if you can sing like Pavarotti or can't carry a note in a bucket. You're welcome here if you're 'just browsing,' just woke up or just got out of prison. We don't care if you're more Catholic than the Pope, or haven't been in church since little Jack's christening. We extend a special welcome to those who are over 60 but not grown up yet, and to teenagers who are growing up too fast. We welcome keep-fit mums, football dads, starving artists, tree-huggers, latte-sippers, vegetarians, junk-food eaters. We welcome those who are in recovery or still addicted. We welcome you if you're having problems or you're down in the dumps or if you don't like 'organised religion.' We've been there too! If you blew all your money on the horses, you're welcome here. We offer a welcome to those who think the earth is flat, 'work too hard,' don't work, can't spell, or because grandma is in town and wanted to go to church. Saturday at 6.30pm at St Benedict. Saturday at 11.30am at Holy Family or at any other time upon reasonable request. Get the Parish Bulletins and Newsletters together with the latest news and information sent to you by email in our Online Newsletter.